According to an article in the Temple Daily Telegram, two horses had to be euthanized after being attacked by a mountain lion this past Wednesday in a rural area of north Temple. The property, owned by Chris Johnsen, 56, is located off Berger Road just north of the H.K. Dodgen Loop. Johnson said she knew something was wrong when the eight horses she keeps on the property failed to show up at feeding time on Tuesday night. Worried, Johnsen asked her friends, Ted and Nancy Fisher, to look for the horses early Wednesday morning. The Fishers were interested parties, as they own two of the horses being kept on the property. The Fishers found the horses; unfortunately, two mares, including one they owned, were badly mutilated. The mares were alive but suffering from multiple serious wounds. “They had large claw marks on them,” Johnsen said. Dr. Katie Frosch of the Belton Veterinarian Clinic was called to the scene and decided the horses were mortally wounded and should be put out of their misery. Dr. Frosch has worked in the area for two years and said this was the first such attack she’s seen. She did agree that a mountain lion was the culprit due to the specific types of injuries the horses suffered. Game Warden Billy Champlin said that cougars are indigenous to the state but typically target animals smaller than the mares. He speculated that the cat in question here likely started out targeting the mares’ foals. 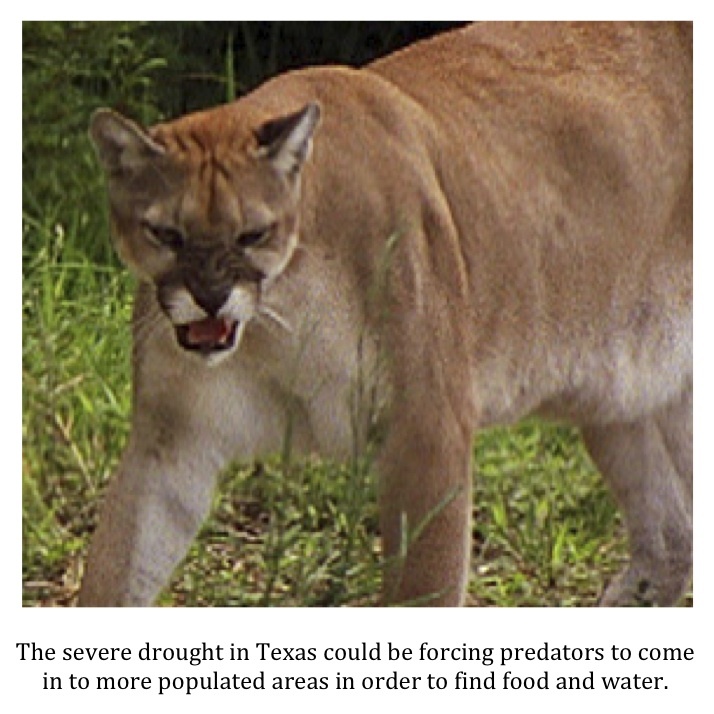 He is quoted as saying that in his eleven years on the job he has never seen a mountain lion alive in the wild but that three to four sightings a year from the area are typical. Chris Johnsen, on the other hand, has seen cougars on her property before but not recently. She said that the remaining horses would be penned up for awhile in the hopes that the big cat would move out of the area. Texas is currently suffering through the most severe drought in the last seventy-five years. Central Texas has been particularly hard hit. It could be that this cougar is having a hard time finding its typical prey due to the tough conditions or that it came onto the property seeking water and could not resist the temptation the young foals represented. Several other unusual livestock kills have been reported in Bell County over the last few months. I currently have a couple of game cameras out in western Bell County now in the hopes of identifying the mystery predator in that area. It seems northern Bell County now has a large predator of its own. The Texas Parks and Wildlife Department has filed charges against four men they say illegally hunted and killed a giant alligator on the Trinity River in Leon County. Dallas lawyer Levi McCathern and three guides, Steve Barclay, Sam Lovell, and Ryan Burton, collectively known as the “Gar Guys,” face charges of taking wildlife on private property without the landowner’s permission. The monster gator killed by McCathern has been confiscated along with a gator killed just a day before. The charges are Class A misdemeanors which could mean a fine of up to $4,000 and one year in jail for those involved. According to sources, TPWD will also be seeking civil restitution for the two slain alligators. That claim could exceed $5,000. "Wonder why both gators were killed by different hunters but same guides and both were questioned kills. 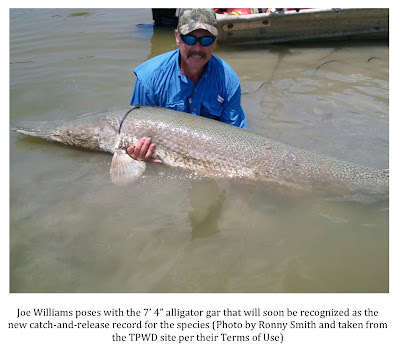 I fish the area the killed it and the " Gar Guys " are not liked at all and more so after this killing.They work that "grey" area of the law --maybe TPWD will close the loop hole since TPWD lost both claims against them." I will say the rules of just when and how it is legal to take alligators in this state are a bit confusing. I outlined these rules in the previous post on this story. Personally, I think some of these guidelines need to be simplified to avoid potential confusion. Don’t get me wrong, guides are professionals and it is their job to know and understand the legalities regarding the hunting of whatever species they are targeting. 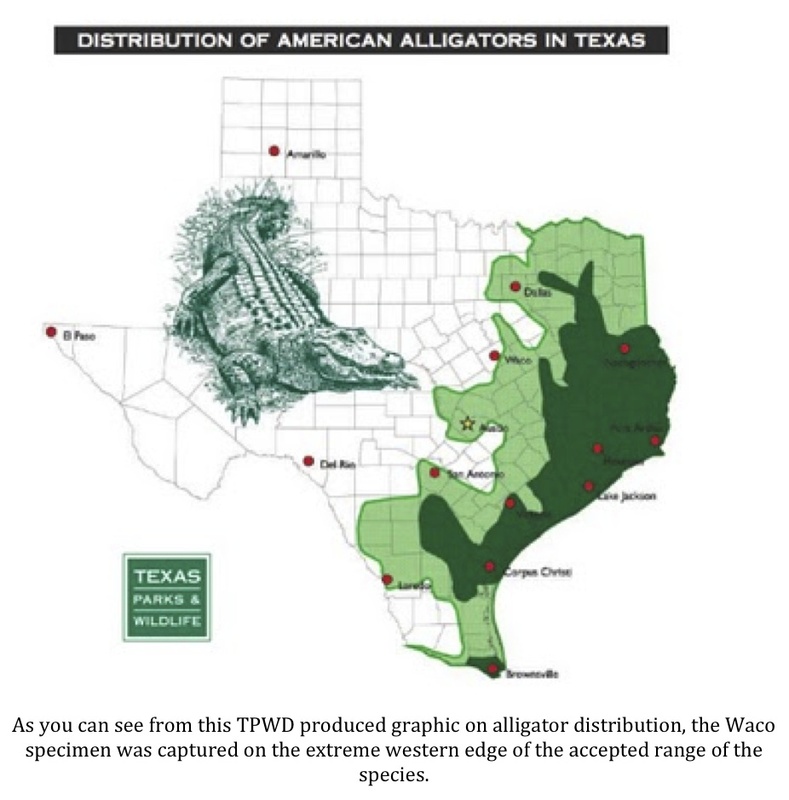 If these guides did not know or, worse yet, ignored, the laws regarding the hunting of alligators in Texas then they deserve whatever they get. I would caution against automatically assuming the worst of these folks; however, let them have their day in court. Remember the Duke lacrosse team scandal? A stripper claimed to have been sexually assaulted by multiple members of the team at a party. These guys were crucified in the media and all but convicted in the press. It turned out that the accuser was mentally unstable and made the whole thing up. The whole debacle ended up costing the District Attorney his job. While the circumstances of the two cases are vastly different, let's not make the mistake of assuming guilt too soon. Maybe I’m being naïve but let’s let the legal system run its course and find out all the facts before we lock these guys up and throw away the key. "Most of us dislike having to change our opinions. So, while facts are facts, objectionable ones are often deliberately misinterpreted." The above quote is pulled from Sanderson's book Abominable Snowmen Legend Come to Life. "Besides being dull, most professional skeptics are insufferably conceited, and in this affair have never even bothered to collect the facts or examine them properly...The pronouncements of most of the scientific skeptics and experts are not caused exclusively by boneheadedness on the part of those who make them; some are deliberately misleading and designed to promote further skepticism, without any regard for truth." Keep in mind that Sanderson's book was first published in 1961. Unfortunately, the climate has changed very little since then. Those of us who have come to the conclusion that the sasquatch does exist are, more often than not, dismissed out of hand as being "loonies." Most skeptics dismiss the possibility that the species could exist without ever seriously examining the evidence that has been collected. They don't have to, you see, because it just isn't possible for such an animal to exist. This way of thinking is totally unscientific and, unfortunately, all too prevalent. Scientists who come to conclusions, in any discipline, that are different from those that are accepted by the majority of their peers are often ridiculed and vilified. Don't believe me? Ask any scientist who questions whether global warming is a man-made phenomenon. The bottom line is that if the evidence points in a certain direction, regardless of whether or not it is a popular direction, it needs to be tested and examined closely and not ignored and ridiculed. I checked the cameras I have out on some private land in Bell County this past weekend. The area has endured an unusual amount of predation over the last six months. Chickens and goats have been especially hard hit in the area. Witnesses have provided conflicting reports as to just what sort of animal the culprit, or culprits, might be. Ranchers in the area have reported seeing cougars (Puma concolor), coyotes (Canis latrans), and even wolves. The property owners shared with me that they have seen some very large canids on the property in recent weeks. One story that was related to me was that of a very large coyote or wolf that circled one of the family members as he was out cutting some wood on the property. He reported that the animal was colored similarly to a coyote but was much bigger. The man said it was at least as big as his full-grown Labrador retriever. I haven’t seen his lab but do know that an adult male will typically weigh 75-110 lbs. The family member went on to describe the height of the animal that circled him as being up to his mid-thigh. This family member isn’t a huge guy but he is 5’10” or so. The point is that, if he is accurate in his size estimates, this animal is bigger than a normal coyote. The animal circled him multiple times while he was cutting wood making him very uncomfortable. He reported that the animal threw his head back at one point and howled loudly. This is pretty unusual behavior for a coyote or a wolf. The skittish nature of these animals is legendary. However, as I’ve written here before, coyotes and wolves do seem to be living in closer proximity to people than ever before. As a result, they may be getting more comfortable around humans. There are other possible explanations for this animal’s bold behavior. It could be sick or injured. If so, it may be desperate for a meal of any kind. Desperation will certainly lead to atypical behavior. Another explanation could have to do with the terrible drought we are experiencing in Texas right now. We have gone months without any significant rainfall. Lake levels are plummeting, water rationing is starting to go into effect in a lot of locales, and wildlife is suffering. I read just last week about the increase in snakebites in Texas this summer. The number of bites is more than double what is typical in our area for the year. The reptile expert interviewed as part of this article posited that this was due in large part to the drought. Snakes, he said, are coming into residential areas where people are watering their yards in order to find a drink. Once there, the snakes are taking up residence under shrubs and in flower-beds which is causing them to come into contact with people more often than is usual. It is possible, whatever this animal is, the drought is causing our mystery canid to come into more populated areas to find water. The property would be among the first populated parcels that would be encountered by an animal coming in from the west looking for water. I was encouraged that an unusual animal had continued to be seen over the last couple of weeks and was hopeful that I might have obtained a photograph. The cameras are in a remote portion of the property on a cow/game trail. Cattle roam all over the property but they are limited in their access to this area and appear to come through only sporadically. Come through a couple of times they did, however. As a result I got a quite a few cow photos. 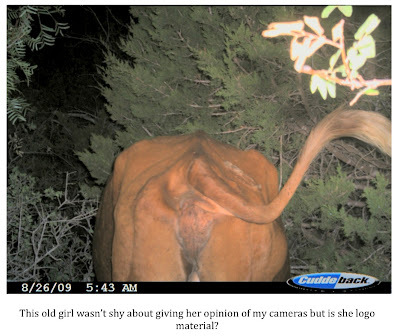 One shot in particular is pretty comical as it shows the rear-end of a rust colored cow quite close-up. My wife suggested that this could be the new logo for the blog. She was kidding…I think. All this would have been well and good except these girls brushed up against the cameras and/or the trees they were on which altered their cone of detection. The position of the cameras was altered only slightly but it was enough as they were no longer pointed straight up and down the trail. As a result, fewer photographs than anticipated were taken. I have repositioned the cameras and am hopeful that they will eventually yield a photo of the predator that is, at least occasionally, roaming the property. 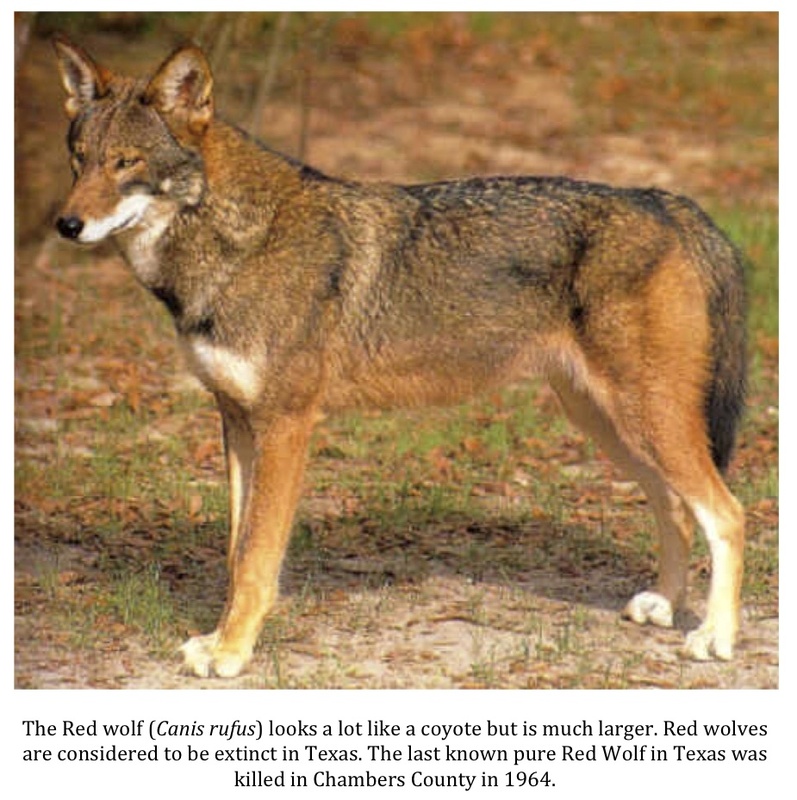 My guess is that the animal in question is an unusually large coyote; however, hybridization did take place between coyotes and red wolves (Canis rufus). It is possible that this specimen is exhibiting more of the red wolf lineage than is typical. I will say it would be quite exciting to get a photo of a true red wolf as they are thought to have been extirpated from Texas. I’ll check the cameras again in a month or so and provide another update at that time. To state the obvious, I’ve made some changes to the look of the website. The changes were brought on by a couple of things that I'll outline below. I had grown a bit tired of the dark look of the old design. I thought it looked pretty sharp but began to worry about it having too much of a Halloween look. The black background along with the burnt orange (I am from Texas) and white lettering certainly contributed to this look. What I did not want was for the site to come across as creepy or spooky. A lot of the sites that discuss the bigfoot phenomenon and/or other cryptozoological topics have gone with the dark and scary look. I wanted to avoid that. I actually received an email from a reader who complained that my blog was “more like that of a naturalist than a cryptozoologist.” This woman intended to insult me with that comment but I took it in quite the opposite way. You see, that is exactly how I see this blog. It is about the natural world. 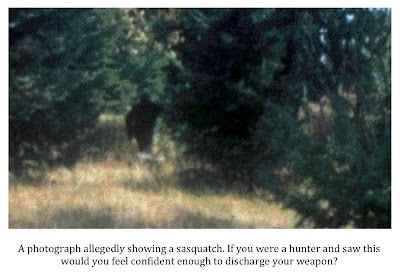 I just happen to believe that the sasquatch and other topics considered strange by most fit into that natural world. I find just as much pleasure in writing about an out of place alligator as I do about black panthers. It is all fascinating to me. I wondered if the predominately black look of the blog was sending the wrong message to potential readers as to what kind of content they could expect here. That being the case, I decided to lighten things up a bit. I wanted the site’s look to more properly reflect the content readers could expect to see on it. I also thought that, since the site was called The Texas Cryptid Hunter, there should be more of the Lone Star State reflected in the site’s design. I am unashamedly proud of being a Texan and wanted the site to reflect that. I had attempted to do this by simply using an image of the Texas flag as the de facto logo for the site but never really felt it worked alongside all the black and burnt orange. I wanted a logo of some sort. I knew what I wanted was beyond my own capabilities of producing so that is why I put out the call to graphic artists for help. I received several submissions and was shocked at the outstanding quality of them all. I was really surprised at the level of interest that my request generated. I do want to say that if you are still working on a submission please do go ahead and finish it. I may go with a rotation of some sort if I really like multiple designs. You will receive full credit for your design and a link on the site to your business or personal site (whichever you prefer). The extremely cool masthead/banner design above comes from Cullan Hudson. Cullan is an accomplished author and writes the Strange State blog. His is an outstanding site and deals with all manner of paranormal and cryptozoological topics. Cullan’s site is definitely worth a bookmark. Cullan also runs Fresh Eire Design. If you are looking for design work at affordable prices, Cullan may be your man and Fresh Eire Design may be your company. The logo design below comes from a gentleman named Jimmy Denzlinger. Jimmy simply sent me an email saying he enjoyed the site and attached this very nice logo. I really liked how he incorporated the red, white, and blue of the Texas flag in it along with the sasquatch footprint and the pterosaur. Outstanding job, Jimmy. Only one person has submitted a logo AND a matching masthead/banner. That person would be my friend Angelo Landrum. Angelo is a long-time reader of the site and someone I’ve corresponded with regularly over the last couple of years. There is a lot more detail in this logo than might at first meet the eye. The big toe on the sasquatch footprint is a silhouette (minus an eye-socket) of the skull of a Gigantopithecus blackii. Look closer still just below the big toe and you will see Angelo’s interpretation of what a sasquatch might look like in profile as it looks to the left. Other more obvious, but still very cool, features on this design are the sasquatch walking inside the “C” of the logo, the paw of a big cat, and a star placed in the location of my hometown. Angelo used a font called “Blackoak” for the “T” and the “H” in the logo. It was meant to reflect a western and athletic flair as my day job is a teacher and coach. The “C” was drawn by hand in what Angelo calls his “Cryptid” font using Adobe Illustrator. Angelo initially submitted his designs using the original black, orange, and white colors of the site. You can see these designs below. I loved the design but, as I stated above, was ready to leave the black and orange behind. I asked if he would be kind enough to change the colors to reflect more of a Texas theme and he kindly obliged. He went red, white, and blue and even placed the actual Texas flag in the background. I think it is simply outstanding and want to publicly thank Angelo for taking the time to submit both a logo and a masthead/banner. I may not be completely done tweaking things but do very much like the lighter look and feel of the site. I hope you do, too. A Tale of Two "Alligators"
It has been a busy month or so for all things “alligator” in the Lone Star State. Late last month, word came of a monstrous gator killed on the Trinity River in Leon County. Now we have a story involving a slightly out of place alligator captured in Waco. 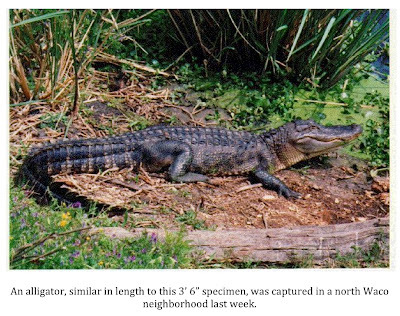 According to Waco’s CBS affiliate KWTX, an alligator (Alligator mississippiensis) measuring between three and four feet long was captured in a residential area not too far from Lake Waco. The alligator was caught near the intersection of Edna Ave. and MacArthur Dr. This intersection is just northeast of Lake Waco near a small inlet called Lake Robinhood by local residents. The alligator died soon after being captured. A necropsy, performed by officials from the Cameron Park Zoo, revealed severe dehydration and/or parasites as the likely cause of death. Wildlife officials stated that they believed the alligator was likely indigenous to Lake Waco and not an escaped pet (can you believe it?). They based this opinion on the stomach contents of the animal, which consisted mainly of insects. The wildlife officials did say it is possible someone caught the alligator with the intention of keeping it as a pet. They theorized that, if true, this person soon came to the realization that this alligator was just too big and aggressive to be safely kept and released it. A short video on this story can be viewed at the KWTX website. In other “alligator” news, Cleveland, Texas angler Joseph Williams has set a new catch-and-release record for alligator gar (Atractosteus spatula). Williams, who says he fishes about 30 weekends a year below the Lake Livingston Dam on the Trinity River, hooked and landed a 7’ 4” long bruiser on July 4th that he will submit for recognition as the new state catch-and-release record. If approved, the Williams gar will surpass an 6’ 8” long gar caught by Leo Flores in Choke Canyon Reservoir back in March of 2011. Williams is a gar fanatic that has done battle with these river monsters before. Back in April he pulled a 200 lb. gar from the Trinity that did not survive the battle. That fish, according to an article on the Texas Parks & Wildlife site, is the new rod and reel record for the Trinity River. To qualify for a catch-and-release record, a fish must be landed, photographed, measured, and released alive. Apparently, and it makes sense, I suppose, as few would carry a scale capable of measuring a monster gar in the 200 lb. range, weight does not figure into catch-and release records for this species. It seems the record is based solely on length. So, if you're looking for anything "alligator" related, Texas seems to be the place to be at this point in time. Sasquatch FAQ: Why Has A Hunter Never Taken One? "I believe in bigfoot. There is something that bothers me though. There is an incident recounted on your (TBRC) site where a hunter saw a bigfoot picking up apples. He had him in his scope at 150 yards for two minutes. Why didn't this result in a kill ? Why do we not have any kills to support the other evidence?" It is a good question. It is also a question that has as many different answers as there are hunters who have claimed to have had this opportunity. I will touch on the reasons given most often by hunters who have claimed to have found themselves in this situation. One thing Ive heard often is that they just didn't know what they were seeing. As I'm sure most of you out there realize, hunters are not indiscriminate killers who go around shooting up the woods like crazy people (despite what many in our society think). Rather, they are trained to never fire unless they can positively identify what they are targeting. If a hunter sees a bipedal upright figure walking, especially during low-light conditions, it is only natural that they assume they are looking at another person. Many have asked, “Hunters are required to wear a certain amount of orange. If there is no orange on the figure why not pull the trigger?” It is true that hunters are required to wear orange in most locales; however, if you think every one of them actually does, you would be sorely mistaken. Firing at an upright figure just because it doesn’t appear to be wearing orange is a recipe for tragedy and most hunters just will not do it. They will hesitate in an effort to positively identify what they are seeing. By the time the hunter realizes exactly what he is seeing, often, the opportunity to take a shot is gone. Another thing I've heard from several hunters is that they were not confident they had enough fire-power to take down the animal. The "I didn't think I had enough gun," statement is not an unusual refrain. They feared that they would only wound the creature, which would create a dangerous scenario for them. An animal, any animal, is never more dangerous than when it is hurt. They decided the weapon they were carrying might not be enough to finish the animal off and passed on the shot. I’m not sure if this is actually true or not. I’ve always believed shot placement is far more important than the caliber used. Admittedly, I’ve never been in this position so that is easy for me to say. I think it is more of a psychological hurdle that hunters who’ve found themselves in this position have been unable to clear. The average white-tailed buck weighs between 130-300 lbs. Does are smaller with an average weight between 90-200 lbs. Deer in Texas, and the south in general, trend toward the lower end of those estimates (see Bergmann's Rule). That being the case, a hunter who unexpectedly finds himself staring at a sasquatch many times more massive than the buck he hoped to see might, quite understandably, feel he did not have enough gun to take the animal down. Other hunters have stated that they feared there might be more than one of the creatures in the vicinity. They were afraid that if there was a mate in the brush somewhere nearby it might not take kindly to the shooting of its partner. The hunters feared reprisal. They have said things along the lines of, "It was a pretty good walk back to the truck," and "I was going to have to come out of that tree stand at some point," as reasons why they passed on the shot. 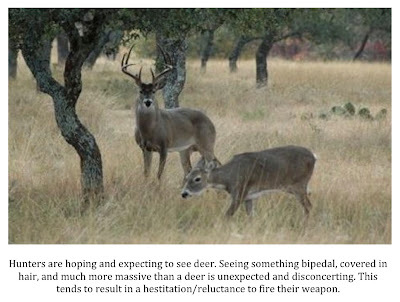 This may be the most valid of the reasons most commonly given by hunters who have not pulled the trigger. I’ve come to believe that these animals are often not alone. I’ve experienced some incidents recently that seem to confirm that (more on that soon). Indeed, more than one hunter who has told me he had a sasquatch in his sights soon spotted or heard a second creature after deciding against firing. One other thing I've heard is that once sighted in the hunter found the sasquatch to be so human-looking that they just couldn't make themselves pull the trigger. When pressed on what it was specifically that made the sasquatch appear human, most have simply referred to the way the animal moved. They mention that it was standing up or walking, "like a man would." A few have claimed that they got a look at the face and felt it was not a typical animal. These hunters often struggle when asked to describe exactly what it was about the creature that made them feel that way. Again, I think that the shock of seeing something bipedal and walking like a person would be enough to convince almost anyone that this might not be an animal but a person of some sort. It is another one of those psychological hurdles. If it walks like a man, moves like a man, or stands up like a man it must be a man despite other characteristics that clearly make it different (covered in hair, extraordinary size, etc.). It is just the way we think. While all of the above is true there are several incidents where hunters have claimed they did take a shot. Some of these stories are dubious at best, the story of a man going by the name of “Buggs” comes to mind, but some seem credible. Regardless, none have produced a body to this point. This is one of the very facts that those who dismiss the possibility of the sasquatch use in their arguments. I feel there are many solid counter-points to this argument but cannot completely satisfy the critics or, at times, myself as to why these scenarios have never, not even once, produced a body. I'm not sure that you will find these explanations as to why a hunter has never taken a sasquatch to be completely satisfying. I'm not sure I do either but it is easy to second-guess these hunters when you haven't been in their shoes, I suppose. In any case, these are the things I've heard from hunters who claim to have been in this situation. It is what it is.